Help : Maintain Recurring Documents. 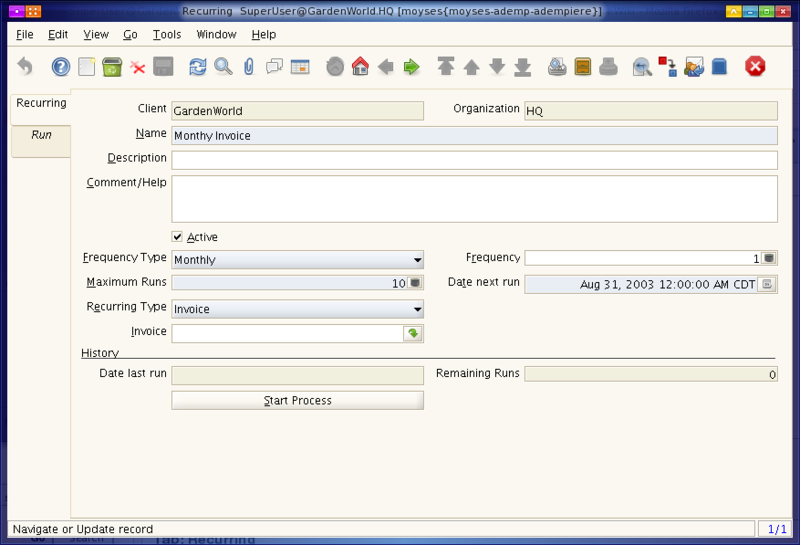 The Date Next Run determines the Document (and Accounting Date) of the generated documents. This page was last modified on 14 December 2006, at 14:22.